Health Benefit No processed sugars, saturated fats or chemicals! If you’re looking to be healthier, salads are a great place to start because you can put just about anything in them to make them delicious. But having a yummy salad dressing makes them that much more approachable and exciting. A lot of the store bought dressings have sugar, really unhealthy oils, things that you should not even be putting in your body (saturated fats, excess sodium, chemicals, etc), especially on a salad! Salad is supposed to be healthy. 1. Herb – I’m gonna put parsley. You can use what you have or like. I always put an herb in because herbs are great for you and they make them delicious. 2. Two different kinds of oils – Depending on what I have. Right now I have Flax Oil, so I’ll do a solid couple of squirts of that. And Olive Oil, which tastes so good. 3. Lecithin Powder – It helps thicken the dressing and is really great for burning fat, cholesterol and triglyceride levels, cardiovascular health, nerve function, brain function and memory. To me that sounds great! 4. Roasted peppers – You can buy them pre-roasted or roast them yourself. 6. Something Sweet – These Sun Dried Tomatoes are a bit sweet. Sometimes I’ll even put a Date or a Fig. 7. Tahini – I’m using Sesame Tahini. You could also sub in Pine Nuts or some other kind of seeds. 8. Acid – In this case, I’m gonna use Lime, cause that’s what we have laying around. But you could also do Orange, Lemon, or an Apple Cider Vinegar. 9. Garlic – An essential to me! At least one clove. Blend and voila! Cheers to salad and being healthy! 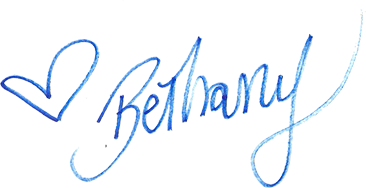 Post your DIY salad dressing creations at #bethanystylehealth — I’d love to check them out!